Given name was most likely Janet. Marriage record is noted as Janet but obit in Westmoreland Republican and Farmers Chronicle dated 18 Nov 1836 says Jane. 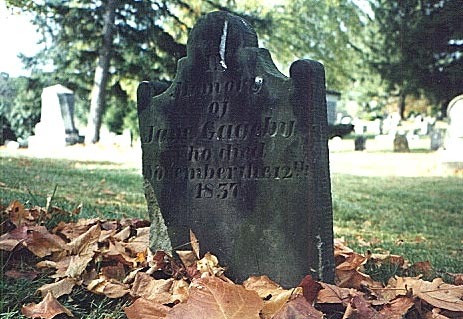 Also tomb stone at Unity Cemetary is Jane. Obit states: " On the 12th instant, at the residence of her son-in-law, Joseph Elder, in Unity Twp., Westmoreland county, Mrs Jane Gageby, consort of James Gageby, late of Fairfield Twp., deceased in the 66th year of her age. The deceased was for many years afflicted with hysterical fits which she bore withentire resignation, and Christian fortitude, in the full assurance of being accepted on the ground of the Redeemer attonement only."